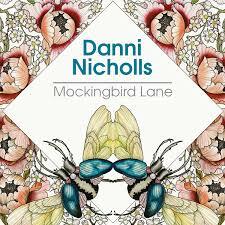 Mockingbird Lane is the excellent second album from Bedford based singer-songwriter Danni Nicholls. It's a perfect slice of homegrown Americana from one of the rising stars of UK Country. The album was recorded last year in Nashville with great producers Stephen Leiweke and Chris Donohue and host of other excellent Nashville musicians. If you haven't discovered Danni's music before, this album is a little gem of eleven carefully crafted songs, with her sublime pure vocals soaring above the arrangements. All the songs were either written or co-written by Danni. The retro 'Look Up At The Mountain' is a real smooth classy song. It's a smokey lounge, Jessica Rabbit kind of a track. The very addictive bluesy almost gospel infused 'Where The Blues Train Goes' is one of our favourites on the album. It has a very catchy guitar solo, lap steel, piano and choir backing vocals. The lovely 'Beautifully Broken' a song about lost love. It is from its lyrics where the album 'Mockingbird Lane' takes its name. "We were beautifully broken all along, like a scratched '45 of a sad love song. Like empty pearls come unstrung. Can't make it right, when it's wrong". Next is the soulful and sultry 'Back To Memphis'. "Some people, some places, are best left alone"
'Between Forever And Goodbye' has almost American native percussion and strong electric guitar backing, with Danni pure vocal soaringf above it. The stripped 'Sad Swan' just acoustic guitar, lap steel, mandolin, organ and vocal. "You are going the wrong way up the river. You haven't grown your white feathers yet"
The final song on the album is the very catchy blusey/R&B almost retro skiffle 'Travellin' Man' has some super lyrics throughout including "I'm trading in my dreams for dollar bills"